Last night my mum came over with one of her home made apple pies. I don't know how she does it.. the pastry is always just so short and crumbly.. it's delicious! I have tried copying her recipe but it never turns out as good as hers. 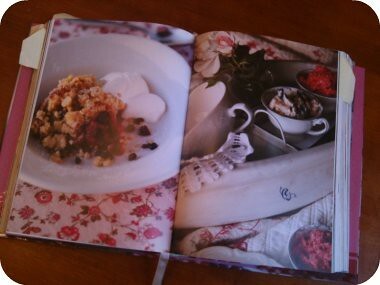 So, tonight I am going to make this berry crumble from one of my favourite cookbooks 'Apples for jam'.. Ill let you know how it turns out!